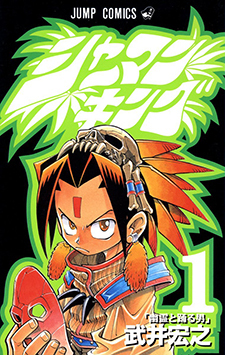 The later serialized one-shots, Mappa Douji, Relax and the short manga, Funbari no Uta are also included in the volumes of Shaman King. The side story Mappa-Douji shows Hao's childhood in his original life. It follows the story of Hao in feudal Japan through the death of his mother at the hands of humans, meeting his first spirit friend, and developing his mind reading powers and other advanced shamanic abilities. The side story Relax follows Hao gathering followers for the tournament years before it started. Note: This entry is for the original printing of Shaman King. Please see Shaman King (Kanzenban Edition) for the chapters not included in this edition. When the source material ruins your childhood experience with the anime adaptation and you can't get over it.